These terms of sale (“Terms of Sale”) apply to your purchase of products from Serato websites or from within Serato software applications. Please read these Terms of Sale carefully before ordering any products. In these Terms of Sale “Serato”, “we” and “us” mean Serato Limited or its related companies, and “you” and “your” means you the customer. 1.1 By placing an order on the Serato website or within a Serato software application, you make an offer to us to purchase the products you have selected on these Terms of Sale. If we accept your order, we will notify you of our acceptance by issuing an order confirmation by email. 1.2 We may refuse or reject your order at any time for reasons which include, but are not limited to, if you have not met the conditions specified at the time of the order, if your payment cannot be processed or if the ordered products are not available. 1.3 We reserve the right, in our discretion, to cancel your order or purchase if we believe your order is fraudulent or in the event of pricing and other errors. 2.1 The availability of products may vary depending on your location. In addition, there may be limits on where we can deliver products. We reserve the right to restrict the availability of products for certain countries, regions or jurisdictions. 3.1 Subject to these Terms of Sale, we will supply you with the products indicated on your order. 3.2 We must receive full payment for the products ordered, before they are delivered or supplied to you. You shall pay for the products by using one of the payment methods available. 4.1 The price of the products will be as displayed on the Serato website. Serato reserves the right to change prices for products displayed on the Serato website at any time. 4.2 Unless stated otherwise, prices shown on the Serato website exclude taxes or charges (“Taxes”) that may apply to your purchase. Prices shown on the Serato website also exclude delivery costs. Taxes and delivery costs (as applicable) may be added to the amount of your purchase and shown during the order process. You are solely responsible for paying such Taxes and costs. 4.3 Depending on your location, some transactions might require foreign currency conversion or be processed in another country. Your bank might charge you additional fees for those services when you use a credit or debit card. Please contact your bank for details. 5.1 You may pay for your products by the methods of payment as displayed in the payment section from time to time. We currently accept Visa, Mastercard and Paypal. 5.2 All online credit card transactions are secured and processed by Braintree. Any payment information, excluding name and contact details, provided by you is not stored by us. (b) authorise Serato to charge you for any products purchased using your payment method. 5.4 You agree to promptly update your account and other information, including your email address and credit card numbers and expiration dates, so that we can complete your transactions and contact you as needed in connection with your transaction. 6.1 We will deliver physical products such as vinyl and merchandise to the shipping address indicated on your order confirmation. (b) 10-15 working days if the products are being delivered to an address outside the USA. However, we do not guranteee that we will deliver within this time frame. We will not be liable for any delay in delivery of your products, however caused. 6.3 Unless otherwise indicated by us, you will be responsible for payment of all shipping and delivery charges for your purchases. 6.4 You may be subject to import duties and taxes, which are levied once a shipment reaches your country. Additional charges for customs clearance must be borne by you; we have no control over these charges and cannot predict what they may be. Customs policies vary from country to country; you should contact your local customs office for further information. 6.5 Except to the exent that your products are software products, title and risk of loss to all products will pass to you on delivery to the address identified by you in your order. 7.1 All software products are licensed to you on the terms and conditions of the applicable license agreements. You will be asked to agree to the terms of the applicable license at the time you install the software. Please be aware, that your purchase is subject to the particular license that accompanies the software and you must agree to the terms and conditions of that license when you install the software. 7.2 All rights, title and interest in respect of the intellectual property rights in the software remain with Serato at all times. 9.1 Unless required by applicable law, we do not provide refunds if you change your mind about a purchase so please choose carefully. We offer free trials for our software products and we encourage you to trial software products before purchasing. 9.2 If the product you purchased from us is faulty we will provide a remedy such as repair, replacement or refund of the purchase price, as required by the Consumer Gurantees Act 1993 or in accordance with other applicable laws. If you believe products purchased from us are faulty please contact our sales department at sales@serato.com and someone will assist you. We will only accept goods returned with prior notification through correspondence with our sales department at the above address. 11.1 Nothing in these Terms of Sale excludes, restricts or modifies any condition, warranty, right or liability implied into these Terms of Sale where to do so is illegal or would render any provison of these Terms of Sale void. 11.2 Subject to 11.1, we will not be liable under these Terms of Sale for any loss of income, loss of profits, loss of contracts, loss of data or for any indirect or consequential loss or damage of any kind however arising and whether caused by tort (including negligence), breach of contract or otherwise. 11.3 Subject to 11.1 and 11.2, our maximum aggregate liability under these Terms of Sale whether in contract, tort (including negligence) or otherwise shall in no circumstances exceed the amount payable by you to us in respect of the products in question. 12.1 We reserve the right to change the Terms of Sale at any time. The Terms of Sale in force at the time you place your order will govern your purchase and serve as the contract between us. 13.1 These Terms of Sale are governed by and construed in accordance with the laws of New Zealand and shall be subject to the non-exclusive jurisdiction of the courts of New Zealand. 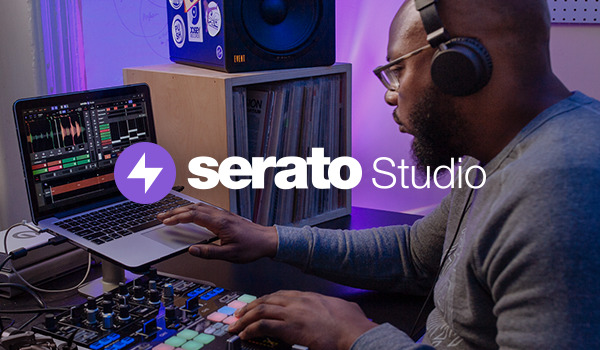 In these Terms, “Serato Subscriptions” means any of the subscription bundles offered by Serato for its software products as set out at Serato.com. If you do not agree to any of these Terms, then you should not use the Serato Subscriptions. We may change these Terms from time to time, and will endeavor to notify you of any substantial changes. If you continue to use the Serato Subscriptions, your use will be governed by the updated Terms. From time to time, we may add, make changes to or remove altogether features or functionality of the Serato Subscriptions. We may also decide to cease providing all or some of the Serato Subscriptions at any time, and nothing in these Terms is to be taken as a guarantee that the Serato Subscriptions will always be available, either in its current form or at all, or that we will support, maintain or continue to offer the Serato Subscriptions. The amounts charged for use of the Serato Subscriptions will be as displayed on the Serato website ("Fees"). Serato may change the Fees for Serato Subscriptions and will communicate any Fee changes to you in advance. Fees are charged in advance on a monthly basis (each period called a “billing cycle”) and are non-refundable, including if you only use part of a month’s subscription. Your subscription will automatically renew at the end of each billing cycle unless you cancel auto-renewal as set out in the Cancellation section below. Unless required by law, we will not provide refunds in connection with the Serato Subscriptions. A valid credit card number is required for paying all Fees. You agree to provide true, accurate, current and complete account information, and to maintain and promptly update your account information in order to ensure that it remains true, accurate, current and complete. We can cancel or suspend your subscription at any time if, in our sole discretion, you have committed a material or persistent breach of these Terms (such as a failure to pay fees when due) or any other terms applying to your use of the Serato Subscriptions. You are entitled to cancel your subscription with Serato at any time. You can cancel your subscription by going to ‘manage subscription’ in the My Products tab of the My Serato window and clicking ‘Cancel Subscription’ or via the ‘Products’ tab of your Serato.com profile. If you cancel your subscription before the end of your current paid up month, your cancellation will take effect at the end of that billing cycle. Unless required by law, we will not provide refunds in connection with the Serato Subscriptions. You may change your subscription at any time by clicking ‘manage subscriptions’ in the My Products of the My Serato window and selecting ‘Change subscriptions’. The change will become effective immediately. If you change to a subscription of lesser value, no refunds will be paid in respect of any unused portion of any higher subscription offering. You may continue using your old subscription until the end of your billing cycle. If you change to a subscription of greater value, we will immediately charge your credit card for any net amount due (on a pro-rata basis) as a result of the change and your billing cycle will be unchanged. Changing your subscription may cause the loss of features or capacity. If you choose to change your subscription, Serato does not accept any liability for the resulting loss of features or capacity. Your acceptance of these Terms will operate as an agreement made in New Zealand and will be governed by New Zealand law, and the parties submit to the non-exclusive jurisdiction of the New Zealand courts.